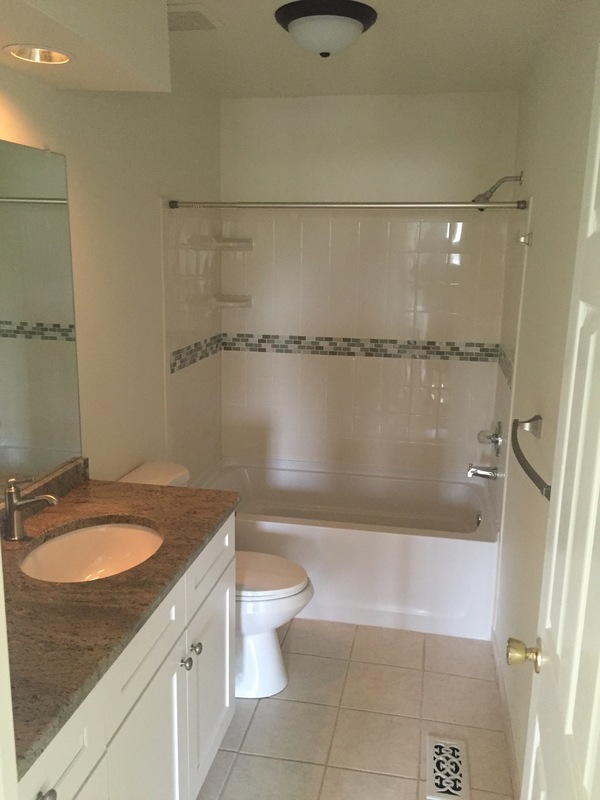 This master bathroom was a total gut with new garden tub, new floor tile, shower pan, tiles, shower door, toilet, bathroom vanity, granite counter top, and all new plumbing/electric fixtures. 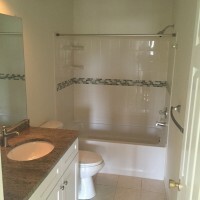 Hall bathroom has all new tile, vanity, toilet, granite counter top, bathtub tile and fixtures. 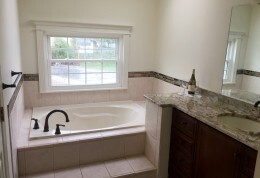 Bathroom renovations in Sewell, NJ.